Selling or Buying a Delorean? Delorean automotive was founded in 1975 and is known for its stainless steel Delorean DMC-12 sports car and turbulent history. The model is particularly famous for its starring in the Back to the Future movie trilogy, where it was made into a time machine. The Delorean DMC-12 was not the most powerful model on the market at the time, with 0-to-60 mph acceleration in about 10 seconds. The selling price was very high compared to other better-equipped vehicles. However, the car was very popular when it came out. The stainless steel body panels were a very attractive and the car was immune to corrosion, but it also made painting the body difficult. The gull-wing doors were another interesting design feature of the Delorean. The car was introduced in 1976 and produced from 1981 to 1983. 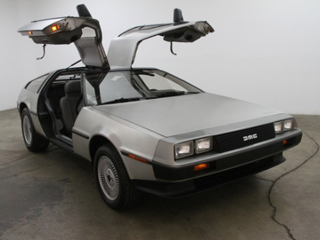 Looking to purchase a classic Delorean? Like The Beverly Hills Car Club staff members, you may be a fan of the Delorean DMC-12. The team values the special history and specifications of the model. Should you have any questions, the experts would be more than happy to share their knowledge of the brand and market availabilities. About 6,500 units of the Delorean cars are believed to still exist nowadays. Finding a good example can be difficult and The Beverly Hills Car Club team is a good resource to start your research. Their Los Angeles classic car dealership is the home for a large collection of classics for sale and the team welcomes you anytime to view the current inventory. The team will also share some tips and advice to help you make a good transaction. For example, it is possible to purchase a Delorean made from a combination of original and reproduced parts instead of buying a used vehicle. Connect with The Beverly Hills Car Club team today to discuss your project of buying a Delorean. The experts will give you some best practice recommendations and help you find the right model that fits your needs and budget. Don’t wait and call the team today! We Also Buy Classic Deloreans In Any Condition, Top Dollar Paid.